That is not true!!! I been to Italy many times the last couple years and in most major cities you will find vegan Gelato. Roome only, I remember there is at least 7 places I had vegan Gelato. All you will have to ask for is “gelato vegetail senza zucchero e lattosio” Gelato dairy and sugar free. Blue Ice is the biggest Gelateria chain in Rome that always have two vegan Ice cream options. they easy to find most of their location are in touristy area. 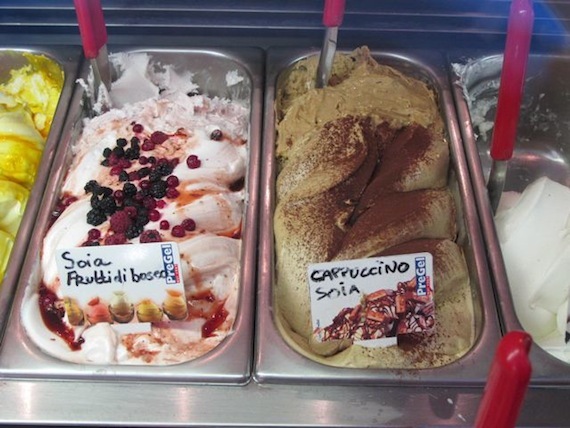 Every city, every corn in Italy you can practically find soy gelato! A lot of people are lactose intolerant. Oh this posts reminds me of how much I miss ROME! because, you don’t know if the sugar is vegan or not, anyway it’s really good and healthier. Interesting that the rest of you have found soy gelato all over Italy! I found tons of vegan sorbet, but only a handful of gelato made with soy. 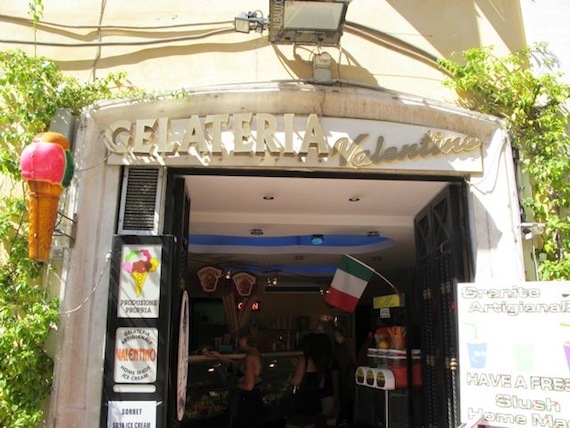 I did visit another very large gelato place in Rome that offered soy, however it was crazy busy, and you had to stand in line to pay for the gelato, then stand in line to choose your gelato. It took over almost an hour for the six of us to get served. I don’t have that kind of time to spend on gelato! Anyway, I’ve been to Valentino’s half a dozen times and I love it. I am a huge vegan desserts fan, this looks fantastic!